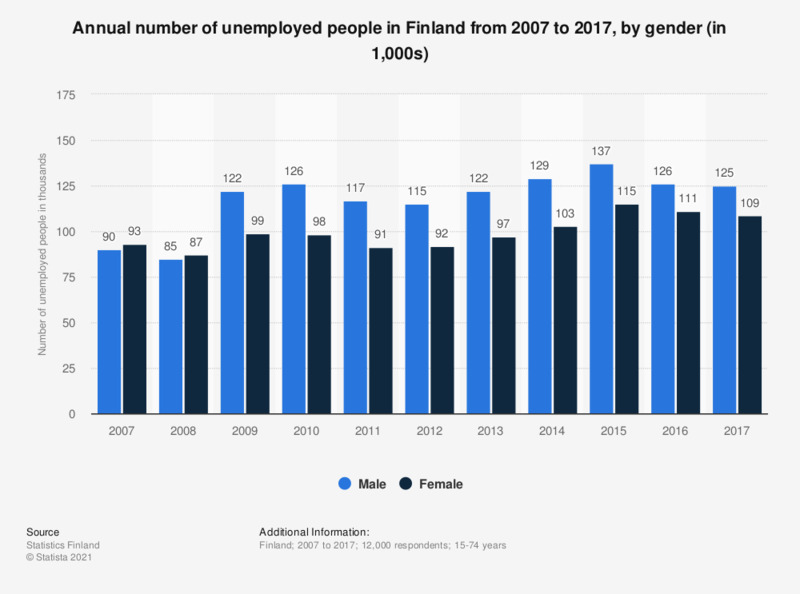 This statistic shows the number of unemployed people in Finland from 2007 to 2017, by gender. The number of individuals unemployed in Finland fluctuated between 2007 and 2017, with figures reaching in 2017 to 125 thousand males and 109 thousand females unemployed. The Labour Force Survey data collection is based on a random sample drawn twice a year from the Statistics Finland population database. The monthly sample consists of some 12,000 persons and the data are collected with computer-assisted telephone interviews.